As far as the death of the coal industry goes: China has been adding a new idle coal fired plant nearly every week. (It is building 368 coal fired plants and planning a further 803). India is doubling coal mining by 2020, and Indonesia has already doubled their coal consumption since 2010). Meanwhile in the US, the Amazon wind farm, a 104 turbine plant costing $400m is being built so close to military radars that people are saying it should be shut down before it starts because it is within the exclusion zone and is a threat to national security. After just four years of rapid development, China has the world’s fourth largest wind power capacity: more than 12 gigawatts. However, the power of the breeze has become available so fast that the nation is struggling to make use of it. Chinese wind farms, however, “in general have difficulties in operation or even lose money,” according to a government State Electricity Regulatory Commission report, which came out in July. For starters, so far, there is less wind power actually being generated than previously estimated by CWEA. 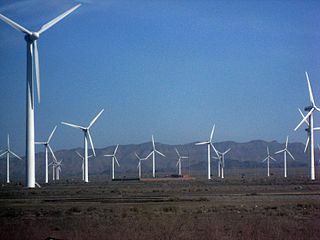 The report notes that China’s wind power generation capacity in 2008 should actually have been calculated as 8.94 instead of 12.15 gigawatts because some turbines were installed but not used, thanks to government mandates that set as a target the quantity of turbines rather than the amount of electricity they can generate. h/t Swiss friend, Stephen H.
Meanwhile back home – the suspected cause of the current Tarago bush fire between Canberra and Goulburn is… a wind turbine. What could possibly go wrong !!!! This must be getting pretty close to criminal negligence. Does a fire ban — a ban on the use of machinery on hot days — apply to wind farms? It applies to farm equipment. …that would be a harvest ban or vehicle movement ban you mean. Perhaps they should have a (manned) fire-fighting appliance in place during summer, as we have to when harvesting, and shut down completely on “catastrophic” “vehicle movement ban” times….seems fair. Graeme No3 has stated that in SA, the wind turbines are shut down during fire ban periods. Apparently the shut down is triggered in most turbines at 40℃ for 2 reasons. The first is that the computer controller is affected by hotter temperatures (batteries?) and the second is that there are always oil leaks and as it get hotter the more likely fire. There is no legislative restriction on them operating at higher temperatures as was once proposed but the turbine owners have to be careful because a bushfire resulting from a burning wind turbine would be very costly for them. The other problem is that there is not always much wind when temperatures get really hot. The reason in the SE of SA for the turbines to shut down is because the local CFS does not have equipment to tackle the fires in the nacelle. They learnt this several summers ago. This January 2013 article on Stop These Things is an interesting read where wind turbines and fires are concerned. I understand the extinguishers are CO2 charged…….does the irony ever stop with this charade? It certainly would make an interesting court case if property or lives were lost. If it can be shown that the turbine was the cuase then someone will be charged for civil damages and possibly even criminal offenses. I wondered about that. I have friends who live just north of the area burned out and they back windfarms west of their farm a few Kms south of Tarago, all the way back to Bungendore. A news report this morning said the fire was “within 15Kms of the Currandooley windfarm, but since this is the most southerly of the windfarms and the fire started well north of there, my only surprise was why they mentioned this particular one, and not all the others along that ridge. If you drive west along Mt Fairy Road you drive straight towards a windfarm well north of Currandooley. It dominates the landscape. Luckily for my friends, the wind was blowing almost directly westerly yesterday, with just a bit (less than a point) of northerly. It might be an ABC coverup. Whenever I drop in for a visit the subject of the fire danger from the windfarms comes up. How would you like one on the windward side of you on a day like yesterday or today? Has this been confirmed by any press coverage/announcement? According to the Goulburn Post a birdstrike on a powerline on the Capital Wind Farm may be the cause. Police are investigating but the cause is not deemed suspicious. Capital windfarm reported “smouldering grass” near the turbines on Tuesday, but they couldn’t call it the capital windfarm fire could they? The turbines are reported to be safe. If you want to be seen as a global producer of electrical wind turbines, you have to show the capability to produce a large number of units on demand. Of course, not all those units will be able to fully comply to specification. So are you going to take people off productive work to bring them up to spec, or are you just going to dump the defective units somewhere, and make some new ones? If you decide to make some new ones, you have to figure out what to do with the rejected ones. Rather than throw them in a hole in the ground, or dump them at sea, you could use them internally to make a marketing statement, similar to the picture at the beginning of this post. So what if one or two burn up occasionally? You will always have other defective units that can be used as a replacement. Seems a perfectly plausible scenario to me. I can’t think why people say I am cynical. Parked up wind turbines will not age well. Thanks, Joanne, for reminding us of a reality that Noble Prize winners (Al Gore & the UN’s IPCC) try to ignore. What about parked up desalination plants, the politicians in Beijing and Canberra have a lot in common. No due diligence and what elephants. Years of chasing has left me with a number of good sources for finding the real data when it relates to Worldwide electrical power generation. China actually has good data that is updated on a Monthly basis, and even the U.S. data is only updated on a two Month basis with respect to lead time. Okay then, this is a little task for you, but it’s not too difficult. Take this link, and when you arrive there, click on the top blue link in the Monthly Data box. (2016 January to November etc) When the next page opens, hover your mouse over the blue link in the box above the Related Links text area, and when the pop up appears, click on the top blue link in that pop up. There’s a lot there, and while seemingly comprehensive, it requires some careful explanation. This is the data current to end of November 2016. Okay then, now go to column 8, and that’s wind power’s total generation, so 2162, the figure shown there for ease of looking at it. That gives Wind Power a percentage of the total power generation of just on 4%. Column 21 shows Nameplate for Wind, and that’s 14254. Sometimes, the real data always tells the truth, as opposed to what green urgers would like you to believe. Excellent analysis Tony. You should write an article for Joanne spelling out the full details. The German onshore turbine fleet’s capacity factor is about 18%, a truly pitifully low number considering the economic cost but much worse, the human cost, the tens of thousands of German households per year and cumulatively now numbering in the hundreds of thousands that have had their power cut off as they can no longer pay their power bills due to Germany now having the second highest cost of power in the world. Add to this the horrific environmental cost to Germans and Germany and you really do wonder at the sanity and plain outright gross ignorance and arrogance of the politicals who continue to push their idealistic vision at the cost of so much human suffering when the so simple and so long proven low cost ultra reliable coal and now gas generators can and have proven over a century and a half in the past that they can provided the cheap, ultra reliable energy that are the very life line and sinews of our industrial civilisation. A study not so long ago came up with the quite rational piece of information that anybody who gave a few minutes thought to would have come up with but of course they wouldn’t get a grant for a bit of sensible thinking, that as the numbers of turbines increase the capacity factor declines as all the best sites are taken and the interference between turbines leads to losses of efficiency, the downstream turbine wake effects, of up to 15% or more in a large turbine farm. A new Environmental Progress analysis finds that “German emissions increased in 2016 for a second year in a row“, blaming the result on “the country closing one of its nuclear plants and replacing it with coal and natural gas“. Obviously wind and sun failed to step in and do the job. On china, there are a lot of economists and assorted financial and business people asking just how much longer can China continue on affording its ongoing incredible infrastructure building program? There are economic limits to building infrastructure particularly when there is no logical or even economic rationality involved in such infrastructure building. If the world stops buying Chinese made goods then there is the possibility of a major collapse in the Chinese economy as all the immense infrastructure that has been built is basically to help service the industrial base that has driven China’s current incredible progress. Maybe there are a few here who can still remember when in the late 1980′s it was being widely promoted in international as well as political and business circles that Japan with a 120 million population was going to overtake the USA with its 320 million population in GDP and therefore become the largest economy in the world. It didn’t happen and the Japanese are still trying to dig themselves out from the economic stagnation that followed in the early 1990′s. Remembering the famous pre WW2 Danish physicist Neils Bohr’s dictum that “making predictions is difficult, particularly about the future” I would suggest that if the world economy slows down and / or the world finds other sources of goods, then China might well find itself in very deep trouble financially and its economy could well sink into a state of stagnation as did Japan in a similar situation in the very late 1980′s. But the difference being that China doesn’t have any semblence of democracy where the populace can find and put another group with new ideas and new approaches into power to break the dead locked status quo of a failing economy. The populaces only alternative if it gets to bad is for another bout of revolution annd a blood batha s the current communist powers try to keep their positions , privileges and their heads on their necks. Short term borrowing for refinancing all the infrastructure white elephant projects is taking its toll. Bankruptcies are coming because the yuan is not the world reserve currency so China cannot get away with the BS level of debt that the US can. Yes, that’s the situation. I’ve seen it first hand. Tonyoz, the reliability point for wind is < 10% and the capacity factor is an average % of the installed capacity over a year. Wind, like solar also is the wrong frequency for grids and is incredibly lacking in energy density. The things don't work. People who advocate them and profit from them should be in jail. Wind turbines generate either DC at variable frequency or AC at fixed frequency (old types). Both are dependent on the grid, firstly so the controllers/inverters can output at the right frequency and voltage (and phase angle). IF there is no connection or no power on the grid they cannot generate anything. The second reason is that when there is no wind the turbines have to be turned over periodically to prevent the shaft bending. This usage is usually unavailable but is occasionally published, but it varies from model and manufacturer. It is a small percentage of the nominal output, and what figures I’ve seen range between 1 to 15% (the latter rather doubtful). This conversion to the right output reduces the actually output, as does the drawing of current, so the energy density drops to around 2MW per square kilometre. You can boost this by placing the wind turbines closer together in a line on a ridge where the wind blows mostly from one direction. The wind farm at Albany in WA is an example, located on a spur between 2 hills, all smooth and rounded and facing the SW where the wind tends to blow from around 70% of the time. The turbines are thus elevated above the sea on the SW side (and the NE downside to the bay) and the 2 smooth end hills have some effect in increasing the flow rate. The claim was made that their capacity factor would be 40-41% in this ideal location but as Warwick Hughes pointed out a few years ago they seemed (output figures are hard to get) to be running between 31-33% – still impressive by world standards. Nevertheless wind turbines take up vastly more area than a coal or gas fired (or nuclear) facility. Sorry, meant asymetric voltage, i.e. DC with varying voltage. In Germany the off-shore wind farms have a central control station that converts this to AC at the correct frequency, voltage etc. (with some losses). This is then sent to the grid – in most cases as they are having problems and two of those farms aren’t sending much, if any power onto shore. Probably not a disaster given the fragile stability induced in the grid by all that renewables. China is still interested in ‘other power sources’ as its coal fired plants seem to be responsible for the bad pollution (that PARTICULATES NOT CO2). It is however building new nuclear plants (new technology, not like the disastrous old Westinghouse design that was Fukushima). Also the 3 Gorges dam is pretty impressive for hydro, IMO the only REAL ‘green’ sustainable power (hydro minus any destruction from the lake behind). Fukushima was not a Westinghouse design. Westinghouse went for Pressurised Water Reactors (PWR). Fukushima was an early design of Boiling Water Reactor (BWR)designed by GE (General Electric). That spreadsheet is somewhat confusing.If you convert the 5370twh to GW (5370/330/24) you get 678GW which sounds about right. But column 17 “power capacity” it says 156671 “million kilowatts” which is 156671 GW!!!! Re the spreadsheet….if you divide the 156671 by 100 and treat it as Gw it appears to work. So China has 1566GW nameplate capacity of generation. Interestingly, thermal generation capacity is 1039gw but the 5370twh converted to gw is 678gw. So over 300gw of thermal is not being used? And why is there no record of solar in the national stats? Thanks for this and your other frequent analyses. yeah thanks. I see that now. Note that China’s power generation is greater than Australia’s by a factor of 22. The population of China is greater than Australia’s by a factor of 57. If we here in Australia have what we consider to be electrical power enough for all the Country’s needs, at every level, then this tells me that China lags far far behind us when it comes to parity of availability of electrical power, and tells me that obviously, a whole lot of people in China have what we would consider either very little electrical power, or as is the case, no electrical power at all. At that same data I linked to in my original comment, note at Line 9, the total power consumption in China is 5384.7TWH, and then at Line 16, the total power consumption of urban and rural residents, (the Residential Sector) of 744TWH. That means of total power consumption, only 13.8% is consumed in the Residential sector. Here in Australia, and in most other fully Developed Countries, the total Residential power consumption is closer to 35 to 40% of all consumption. This again highlights the fact that few people in China have what we would take for granted as access to electricity for all our needs at home. That current percentage is steadily rising, brought about in the main by the construction of large scale power plants, mainly new tech coal fired which has been done to mainly supply the huge expansion of industrialisation in China, and because of that, the flow on has been access to ever increasing amounts of electricity in people’s homes, hence the rising consumption in that residential sector in China, because barely 6 years ago, that residential sector consumption in China was down at only 7.5%. As well as exhibiting virtue, the white elephants can even serve as product display. After all, China is where we have to buy much of this junk, manufactured with our coal. Could be worse. We might be forced to manufacture the junk in Adelaide between blackouts. Steady on Moso, they made a few mistakes, its been a steep learning curve. Throwing off the shackles of the Command economy hasn’t been easy and in the rush to be rich the Beijing Princelings didn’t give a thought to due diligence. Anyway, they have built a space launching pad up the road, so all they need now is another ghost town nearby to soak up unused wind farm capacity. The head of China’s State Grid Corp, Liu Zhenya, stated that the world should create a global grid tied together by UHVDC links so that renewable energy can be shuttled from that “somewhere” where the wind is blowing or the sun is shining to where it is needed. As well as stopping Global Warming, it should employ millions and bring about World Peace. Hmmm …. it might work, sounds like science fiction. If they ran the lines along the Silk Road, side by side with new cities and very fast trains, there might be some value in exporting energy. There is a theory kicking around that the suggested Super Grid using VHDC taking Chinese generated power across Asia and on into Europe is the Chinese way of hiding a real serious problem for China but turning it too China’s advantage in overcoming a developing problem and making a moola of money out of the Europeans who are too slack and politically stupid and naive to realise their own vulnerabilities at the same time. The Chinese problem is the huge and uncontrolled number of high generating capacity coal fired generators they are building plus the numerous hydro dams they are building in southern China and Tibet. Plus the renewables for what they are worth, all of which leaves the Chinese with a huge future overcapacity in power generation. To the extent that some of the coal fired generators will only be operating at around 50% of generation capacity which makes them fairly inefficient even though they are either Super Critical or just coming on stream, the even more efficient coal burning Ultra Critical plants. Some of the Chinese problems have been created by their provincial political structures where the individual provinces and their politicians follow “a beggar thy neighbour” line of policy . The Provinces provide a very large selection of incentives including huge loans which will never be repaid plus subsidies and etc to numerous industries to set up in their provinces, a political way of working that even extends down into the political opportunism of major cities within the provinces. The central Beijing government seems to have lost control in many cases of the funds being expended by the provinces and major cities in infrastructure building and subsidies and investment incentives as they try to attract investment to provide employment for the masses of people moving out of the Chinese hinterland into the major eastern cities near the coastal provinces. Surprisingly, the Chinese may actually begin to have a labor problem beginning somewhere around 2020 as the one child policy, now rescinded, cuts in on the ages of the working population and the shortage of young factory fodder begins to be felt. With the immense power generation over capacity looming on the horizon of the Chinese nation within another few very short years, somebody came up with the brilliant idea of the Super Intercontinental Grid to take Chinese power across Asia and into Europe. A concept which on the surface solves all of the Chinese looming and potential power generation over capacity problems, makes those new ultra critical power generators a viable economic proposition, earns lots of finance for the Chinese, gives the Chinese as the main power providers to much of Asia and Europe, immense power both economic and political over the former super power of Europe, prevents the Europeans from redeveloping and beginning to compete against China again, controls the European political system through the control of the absolutely essential energy that runs our civilisation and generally gives the Chinese hegemony over half or more of the world’s population. And thats the most advanced and most developed part of the world’s population. All in all one hell of an idea to extend one’s control and influence across a a major part of the worlds most developed nations. And with a few countries, democracies, running such a system it might just have worked, but with the Chinese, it won’t! Historically the Chinese culture is that another nation is never China’s equal and the present interregnum of China’s weakness is a temporary situation which is in the process of being corrected and China will soon once again take its position as the world’s leading and unchallengeable nation. Through all of Chinese history all have had to bend the knee and even kowtow to the celestial sphere, the Chinese Emperor, the supreme unchallengeable being, or so the Chinese have demanded of all who came in contact with the China. And the modern Chinese haven’t resiled from that cultural meme at all as we have seen with Mao, Deng , and the various Chinese leaders of the latter half the past century. Plus the evidence of the Chinese just assuming it is their right to occupy islands in the South China Sea far from the Chinese mainland that through a long history have been regarded as being the property of other nations. The Super International Grid is a very interesting concept until one realises it fits the Chinese vision of a Chinese dominated global hegemony like a glove that no other system , particularly a politically negotiated system could ever match re China’s, slowly being realised once again, its claim to another round of global dominance as well as overcoming a looming Chinese problem with it vast over-capacity and over building and over-investiment in power generation facilities. Or that it is “green propaganda” aimed at gullible European nations and the EU and angling for money from them for the project. The distances alone make me wonder why anybody sane would suggest it. With UHVDC link the power transmission from China to Europe would lose under 10% of the exported power depending on where to where as transmission losses can be as low as 2%/1000km. The overall economics obviously depend on fuel cost and transmission line cost. If you went through the numbers it is likely cheaper to ship Australian coal to China and have Chinese power plants convert it to electricity for direct export to Europe than to ship Australian coal to Europe for power generation. The only way intermittent power sources can offer economic value is to have storage at the source or global diversity in the supply. I expect storage at the source will ultimately prove the most economic option. I dare say Bloomberg and the the dubiously named Economist briefly ran out of Elon Musk announcements. You get these quiet news days. Part of the reason why so many have been installed is that the orders subsidise the turbine manufacturers who can thus compete for overseas sales. The installations also serve a political purpose as propaganda that China is “going green”. Possibly the thought was also tat they could supply (unreliable) power to underdeveloped regions where there was none, but I think this is unlikely as so many of the top people in China have Engineering Knowledge, unlike in western countries. Chinese politicians are often from science and engineering backgrounds, not like the West who are mainly lawyers and failed businessmen (women). I think a less controversial approach would be to limit the life of subsidies to wind turbines to 9 years – based on information that many turbines in the UK require expensive maintenance after that time. The opportunity is often taken to up-grade the turbines for greater output e.g. by installing bigger, taller ones. The other law I favour is that payments to land owners continue until the towers are removed. This will be subject to getting around wind farm owners going bankrupt after 9 years, perhaps by making the original directors or their estates liable. As most thinking people know, China will keep increasing CO2 emissions until 2030. How could it be that Only one result popped up? OK, so Its not quite the scientific wording that I chose, but only one? That had 19,900 results, with one phrase popping up everywhere. So, I used that phrase and googled the following. This means that China will be increasing emissions every year for the next 15 years, but all the stories have the same quote that China will be trimming emissions!!! On the local front..just saw Flannery, klimate alarmist in chief along with his offsider saying that the present heatwave and bush fires are due to…NO NOT KLIMATE change heaven forbid. “we MUST stop GHGs, we must we must do it immediately”. Heatwaves are NOT caused by any warming they arise due to trapped high pressure systems. To boot, its looking like a record cold in the NH this winter..Hey Flannery, how about going to Greenland (this winter -54C) and giving them a lecture on global arming and the evils of CO2! There is an explanation for the opposition Greenies and Ecoloons put for harvesting timber. Look what happens when there is a shortage of trees! This is usually associated with a gift, given by someone or in such a manner that you can’t refuse, while knowing it will be costly to keep — for example, an elephant. A year ago we drove past several strings of wind turbines on the coast of Vietnam just up from Phanri. I was amazed and concerned at the “waste” of what must be precious public funds in setting up such a poor source of electricity. The reason for the existence of this farm must lie in the financing, construction and maintenance arrangements rather than the nominal objective of supplying power. Tony has written so much about this topic and I feel that this is another example of the eco friendly public to private money transfer arrangements so beloved of the United Nations. A Danish – German project. John F may have very accurately described this project. I have seen these immense windfarms in north west china around 6 years ago – turbines as far as the eye can see. As an electrical engineer, I looked at the detail as best I could from a bus…..Many of the turbines WERE NOT CABLED UP! and less than 10% were turning at the time despite a reasonable breeze. These gigantic windfarms are nowhere near centres of population or industry and I suspect this is a part of the issue. We also passed trucks carrying components for many more turbines, which were then being erected by quite rudimentary means – no cranes, just A-frames and winches. Part of the earlier mentioned problem, is the over temperature of the regulating equipment. The device uses the latest of modern electronics, anyone ever read the instruction manuals of the computers? Or the requirements for heat dissipation of heat sinks? Or even if there are heat sinks involved. I actually believe this is a design issue. Generators produce heat, nacelle trap heat, the transmissions and the electronics inside the nacell, create more heat, how is this dissipated. All the generated heat, produces failures.